Itsaul offers new selections of annual, perennial, and woody ornamentals and provides quality plugs to wholesale growers. 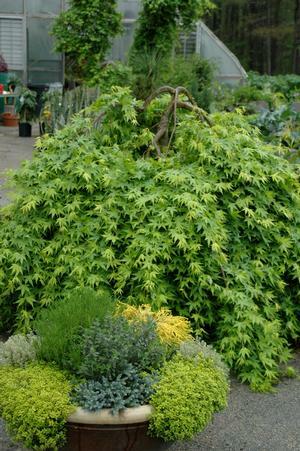 First Strict-Weeping Japanese Maple on the market. Train to desired height or let it weep over a wall. Also great for patio containers, espaliers, arbors, arches or a stand alone specimen. Green foliage that changes to golden-orange to red in the fall.